Is it outdoors or indoors? Dressing in layers, appropriate for the expected climate, which means you should be aware of forecast conditions! 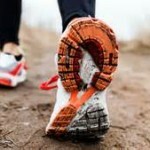 Outdoor workouts may also require shoes to provide traction. Sunblock, hat and sunglasses versus no need. On what surface does the workout take place? If the workout occurs on sand, dirt or gravel trail or grass, your gear will vary. High socks versus low socks that allow pebbles into your shoes. Pants versus shorts in the event of a fall. Is the workout high-impact, low-impact or non-impact? 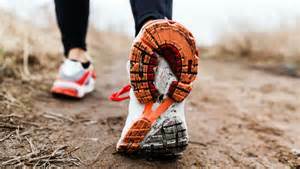 The mode of exercise will call for different foot and ankle support and cushion. High impact and high-intensity may require different hydration and caloric needs than to which you’re accustomed. Does the workout require quick pick-ups, rapid change in direction or moving quickly from one exercise to the other? Shoes that support quick change in direction, but that are light-weight will be important. Wearing clothes that allow you to move easily will help. Know what the workout entails AHEAD OF TIME. When in doubt, ask the instructor! Groups are energizing. Even if you’re not enthused to workout, there will someone else who is. Groups are inspiring. Witnessing some one else push hard and work toward a goal will inspire your own effort. Groups are learning opportunities. There undoubtedly will be someone in class who is more fit or more skilled than you. Learn from them! Groups are encouraging. A “good job” or “way to go” from a fellow fitness enthusiast goes a long way when you’re having a tough day. 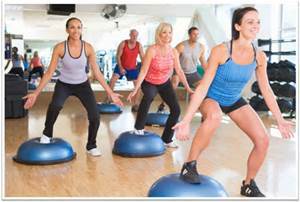 Have you ever tried out group fitness? Many studies show that participating in group exercise will keep you going longer and stronger so you can achieve your fitness goals. Check out some great benefits below and maybe you’ll step out of your comfort zone and try out that class! 1. Commitment/Motivation – Signing up for group classes gives you an appointment time with yourself! You are less likely to miss classes when you sign up with a friend, rather than go it alone. Having the support of others around you, who are there for the same reasons as you are will help keep you motivated to keep on going! 2. Focus – Attending a group class lead by a trainer you trust takes all the guessing work out of the equation for you! A trainer is a leader. He or she will set rules, establish boundries and help you set goals. When you do not have to come up with your own workouts, it allows you to be free to really focus on yourself and allow you to get the most out of your workouts! Pay special attention to form, technique as it will help you… you do not have to be perfect, but giving it your 110% every time, be present in the moment and you will see results if you stick with it. 3. No More Boredom – Group classes switch up routines all the time. You’ll never be bored in group exercise. There are many different classes from, Strength Training, Cardio, Drills, Circuit, Dance, Spin Class… the options are endless! Find a variety of classes you like to do and call a friend and get moving together. The switching up of routines will keep your muscles guessing! 4. Beginners Welcome – No previous experience is required to attend group sessions! 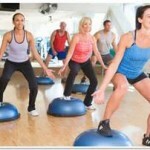 Trainers will give you plenty of options to suit every fitness level in the class. You will learn lot’s of great new exercises and will grow stronger every time you go. You do not need to be worried about giving it a try. So lock up any self-anxiety you might have, stand beside someone who has been attending class regularly. You’ll find the regular’s very friendly and willing to help out their fellow classmates! 5. Energy Boost – Energy is “literally” infectious! You can’t help but getting caught up in the energy of your trainer and the others around you in group classes! Believe me, getting there might be half the battle, but once you do, you’ll be glad you did! And the energy you’ll have after class will keep you coming back for more! The weather’s cooling down, but that doesn’t mean your workout schedule should. Here are 3 workout trends not to miss this fall. Following Reebok’s purchase of the Crossfit brand, Crossfit has been steadily gaining visibility and popularity across the US, and it’s only going to get stronger. It appeals to people who want to try extremely challenging workouts in a competitive but supportive environment. It’s very intense, and not everyone will know their own limits, so please don’t try it if you’re new to working out. But if you’ve been exercising for awhile and are looking for a tough challenge and a community of fitness-lovers to push you, Crossfit might be your solution. The popularity of ballet-based fitness classes like FlyBarre and The Barre Method has led people right back to the source. Beginner adult ballet classes are exploding so quickly that many studios have had to add extra classes to accommodate. Ballet strengthens and lengthens the body, improves posture, and works on rhythm, balance, and grace. It may not be the most efficient way to burn fat, but it’s fun and it lets you relive childhood fantasies of being a ballet dancer, so why not add a weekly class to your fall fitness lineup? This last year has seen a huge increase in “fitness vacations,” and you shouldn’t expect the trend to slow down this fall. Unlike most vacations (where you eat everything in sight and fall off the fitness wagon) you’re practically guaranteed to return from these trips feeling fitter, less stressed, and more motivated. If you’re looking for a beach bootcamp, Holly Rilinger Fitness’s November trip to the West Indies (http://www.hollyrilinger.com/training-camp/destination-training-camp.html) includes outdoor training, yoga, and lots of time to relax and explore the beautiful location. If rugged choose-your-own-adventures are more your style, Red Mountain Resort in St. George, Utah (http://www.redmountainresort.com/) offers custom classes in fitness, nutrition, and stress management, as well as outdoor workouts and adventures. 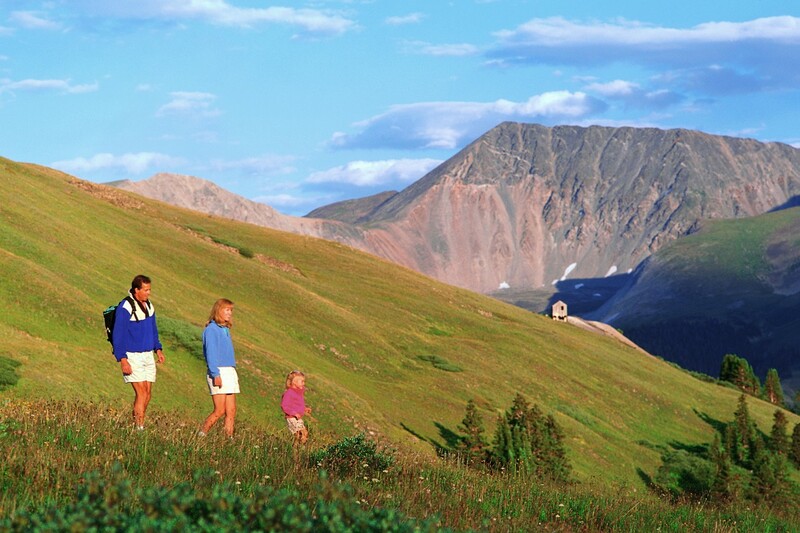 Hiking as a family is a great way to enjoy an active lifestyle, explore the natural environment and reconnect with each other. Young or old, winter or summer, hiking can be enjoyed around the world. Preparing for success on the trail helps ensure that everyone enjoys themselves to the fullest. Pick suitable trails. Make sure the distance, terrain and elevation gain is achievable for your little hiker – it’s better to do a slightly easier hike than one that makes the experience unhappy. Choose trails that are interesting – while adults can often be lured down the trail by the destination, for children it’s all about the journey. 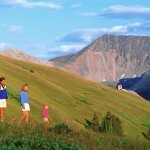 Choose trails with changing scenery and lots of things to see and do. Slow the pace. Let the youngest hiker set the pace, family hiking is about enjoying time together as a family not about getting a workout. Make sure there’s time built in for exploring along the trail, climbing the boulders and tossing stones into the stream. Bring a field guide and learn about the animals and plants along the way. Go with friends. Whether you go with one other family or an entire group, your child will enjoy running along the trail with a friend or two. In addition, with the relaxed pace, it’s a great time to chat and connect with friends or make new ones. Pick your time. Pick a high energy time for your child, making sure that there’s enough time to complete the hike before any usual nap or quiet time. Some trails may require a little more consideration – some are brutal in the midday, summer sun while a waterfall on another may catch the morning sun. Pack snacks and water. Pack some favourite snacks or a picnic and stop for a break along the way. It’s particularly important to make sure that everyone stays hydrated along the trail – ensure that you pack enough water for everyone. In the end, the goal is to have fun, enjoy the experience and create a love of hiking that will last a lifetime. If something’s not working, reassess the situation and try a new approach. There’s nothing better than hearing “let’s go hiking up a mountain” in response to asking your child what they want to do. Happy trails. Advisory: Always remember there are inherent risks when hiking, always use caution and assess trails and conditions carefully. This article is written by Suzi Smart. Suzi is a stay-at-home mom raising a spirited three-year old boy, a wife, an outdoor enthusiast, graphic designer, writer and photographer. She writes The Big Picture – Inspiring families to find happiness outdoors and can be reached at TheBigPictureCalgary@gmail.com or @BigPictureYYC on Twitter.